Are Stainless Steel Sinks All Washed Up? If you're addicted to HGTV. or you're a serial design magazine subscriber, you'd think stainless steel is as popular as it ever was. Here in the field, however, we beg to differ. Now, don't get us wrong. We're by no means saying stainless steel sinks are going out of style; they're kind of like the White Kitchen - a.k.a. "always in style." But, based on our clients' choices of late, we do think that they're all washed up for a little while. Instead, clients seem are passing on the stainless and white sink options, preferring innovative alternatives that add a little more color and panache to their kitchen design. Looking For Alternatives to The Stainless Steel Sink? Here are some of the reasons we feel the demand for stainless sinks has declined. Perhaps one of the things that has shifted the focus from stainless finishes is that farmhouse sinks now come in so many different styles. Farmhouse sinks continue to trend because they are so versatile - working with both traditional and modern designs. Plus their big, open container-like selves accommodate dishes from even the busiest kitchens. 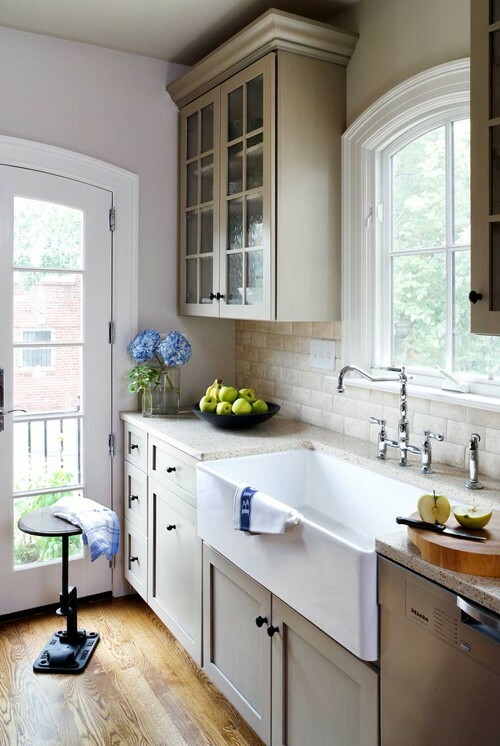 Until recently, farmhouse sinks were largely available in stainless steel and white porcelain. Now, they're offered in a range of finishes, including fired clay, natural stone, copper and even wood. 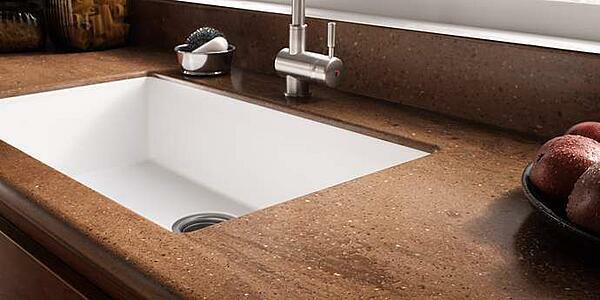 Speaking of all those finishes, that leads us to the topic of granite sinks. 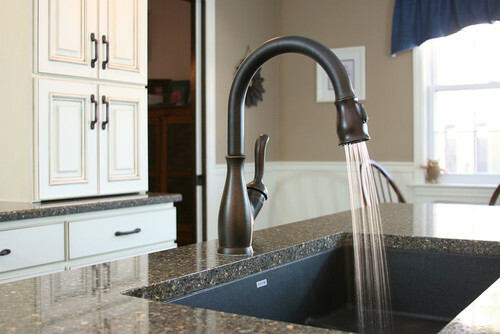 While they aren't actually made entirely of granite, composite sink options do include flecks and crystals from granite and other natural stones. As a result, homeowners can have a non-porous (meaning more hygienic) sink in just about any shade they want. This includes finishes that have a natural stone patterned look to them. 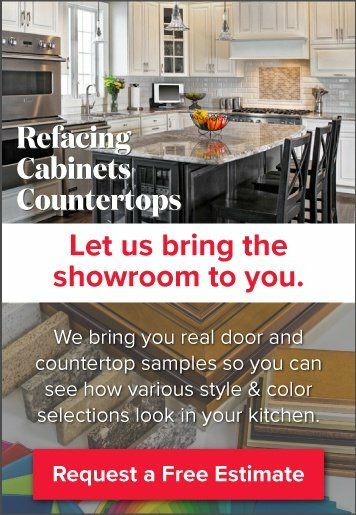 Many homeowners who choose granite or quartz slabs enjoy the fact that they can finally have a sink that blends better with their countertop, rather than choosing the best non-matching option out there - which, historically, was either a stainless steel or white porcelain sink finish. Another benefit of granite and Corian sinks? They have versatile shapes and options, making them extremely functional, like raised platforms that can be used as a drain board or food prep area. 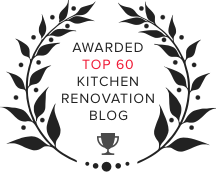 Back in December, we posted a blog titled, "Kitchen Sink Options You Might Not Know About," where we highlighted sink styles/options that work well with seamless kitchen designs. Wherever there is a seam in a kitchen, a detectable border between one material and another, there is a visible disruption. From a health-conscious standpoint, countertop and sink joints, or seams, are also places where grime, food debris, moisture and mold/mildew collect. In a seamless kitchen design, the designers work thoughtfully to minimize the visible seams. This is one of the reasons Corian countertops are so popular, and adds to the appeal of granite and Corian sinks. In the case of the latter, the sink can be fabricated along with the countertop so there is no seam at all. With an undermount granite sink, a similar effect is gained. While there is still a seam where the sink and the countertop materials meet, the seam is below the level where foodstuffs are less likely to come in contact with them, since countertop debris can be swiftly swiped along the countertop surface and over into the sink. If you like stainless steel sinks, go for it. We don't see them becoming completely washed up anytime soon. However, if stainless finishes aren't your cup of tea, Kitchen Magic has plenty of other options to choose from.